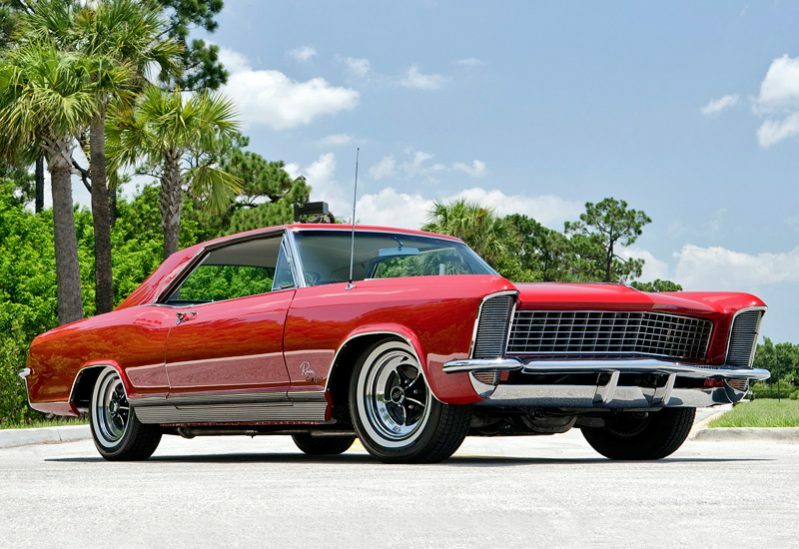 There’s no doubt in our mind that Buick owes a lot to the first generation Buick Riviera. Hadn’t there been for the Euro-inspired personal luxury carrier, Buick might have been long gone as a brand. Luckily for them, Bill Mitchell’s stylistic gamble paid off big time and Buick sold around 112,000 of them over the course of following three years. Arguably the most popular and awe-inspiring of them all is the 1965 year model. This is when Riviera’s “Gran Sport” option became available. GS Riviera was powered by the dual-quad Super Wildcat 425ci V8 engine with 360 horsepower. With it came the dual Carter AFB four-barrel carbs, heavy-duty suspension, and 3-speed Turbo-Hydramatic transmission. But the cornerstone of the car were probably its concealed headlights. All 3,354 1965 Buick Gran Sport Rivieras made were, interestingly, traditional rear-wheel drive cars. And so were all other Rivieras for that matter. It was peculiar because the Riviera’s platform sharing GM siblings Olds Toronado and Cadillac Eldorado were both front-wheel driven.